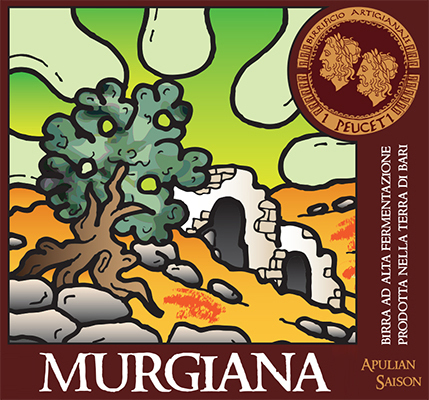 The Murgiana is named after the karst plateau of Puglia and is inspired by its colours, perfumes and essences. Name and alcoholic grade: Double Malt beer 6.7% ALC. Vol. Pairings: White and red meats also grilled aromatic meats, spicy dishes, fresh and medium-seasoned cheeses, simple and mildly elaborate pizzas. Seasonal beer, orange, veed and with persistent foam. Inviting aroma of spices with citrus, fruity and floral hints, mainly supported by selected malts of barley and wheat. Medium body, efferveing character with dry and refreshing finish.